People working in the trades burn far more calories than your average office worker. So, it goes without saying that food needs to play an even larger part in the working day to ensure that you’re fully energised and fuelled for physical work. 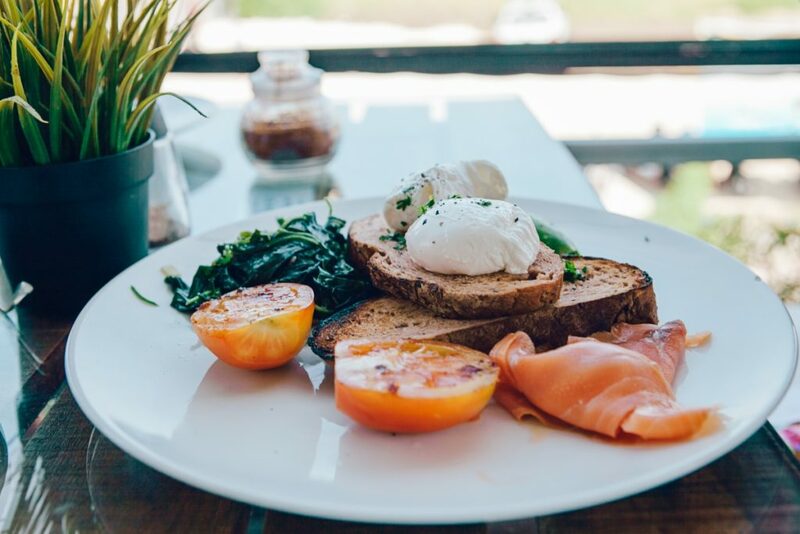 Whilst it’s tempting to steal an extra few minutes in bed, skip breakfast and grab a bacon butty and a coffee on the way to work, you’re much better off paying a little more attention to eating a nutrient-packed, energy boosting breakfast. It’s time to ditch those fat-laden breakfast butties! Give yourself an extra 30 minutes in the morning and try rustling some of these dishes for a long-lasting hit of morning fuel. The humble oat might seem like a boring, run-of-the-mill staple, but it turns out it’s actually a powerhouse when it comes to nutrition. Oats are widely regarded as true health boosters, with proven benefits when it comes to lowering high blood pressure and reducing cholesterol, often the result of poor diets often impacted by bad breakfast habits – this means bacon and sausages should be a rare treat. Porridge is a staple for athletes because of its slow-release energy ensuring blood sugar levels remain steady – ideal for the morning stretch at work. Mix your porridge oats with milk, stick them in the microwave for a few minutes and top with some fruit for a solid breakfast foundation. Slice up some ham and mushrooms, whisk some eggs and you’re good to go with a nutritionally sound and protein-packed breakfast. 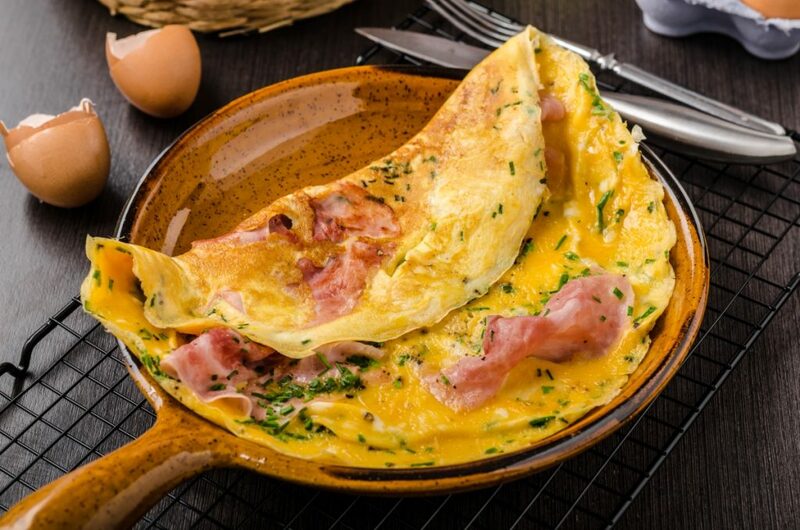 A three egg omelette should keep you satisfied throughout the morning and hold off any cravings for sugary snacks. Snacks only give you a short term boost when your blood sugar levels spike, but they soon crash, resulting in fatigue or more unwanted cravings. This trio of breakfast goodness is just the ticket for kick-starting a productive day at work, providing a perfectly balanced start to the day with plenty of protein and fibre. 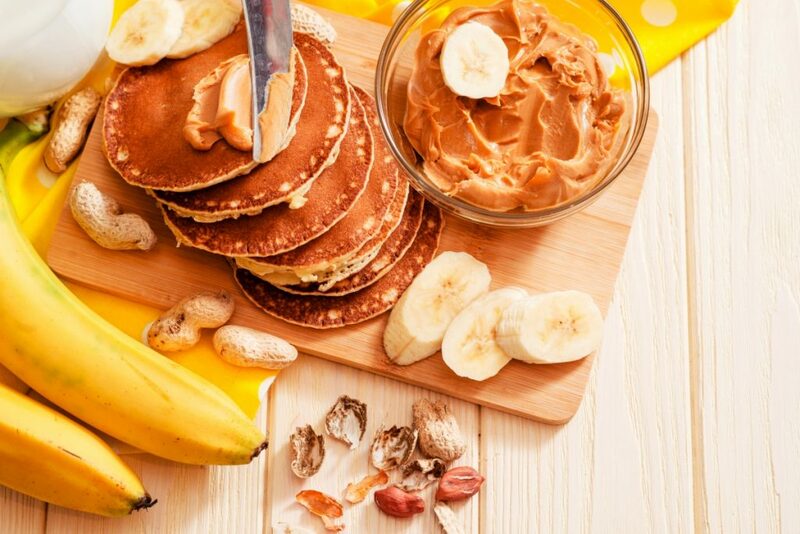 The wholemeal flour in the pancakes is an excellent sauce of fibre alongside the slow release energy of the banana and the protein-rich peanut butter. For the pancakes, you just need to whip up a batter using one egg, 300ml of semi-skimmed milk and 125g of wholewheat flour. Simple! Rye bread is packed full of fibre, making it a top choice for early morning fuel and holding off the sugar cravings throughout the day. Combined with eggs, tomato and spinach, you’ve got a balanced dish, full of goodness to tackle the day. Simply fry up chopped tomato and spinach in a small amount of oil, then fold in whisked eggs and scramble. If you’re still really craving a fry up on a Friday, then there are plenty of options to adapt the dish into something a little more nutritious, but still as satisfying. You can pack in the protein with a combination of sirloin steak, egg and turkey bacon rashers, along with tomatoes, mushrooms and spinach. Top it off with a slice of wholemeal bread and you can roll into the weekend on top form. For more advice, updates on our training courses and products, and top trade tips, you can follow us on Facebook and Twitter.